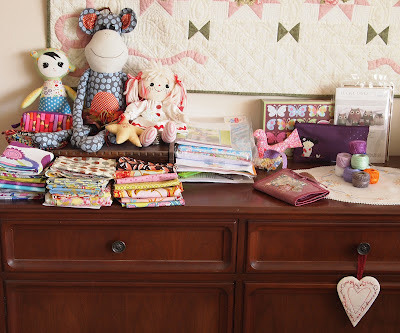 Lurline's Place: Back to Cute and Pretty! Back to Cute and Pretty! I've just been swearing at Blogger - how rude is he! 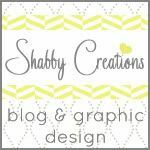 - just lost a whole post and I swear it had been saved throughout too. Anyhow ... lucky I have just had a lovely weekend away lots of laughs and good fun, back to reality now! 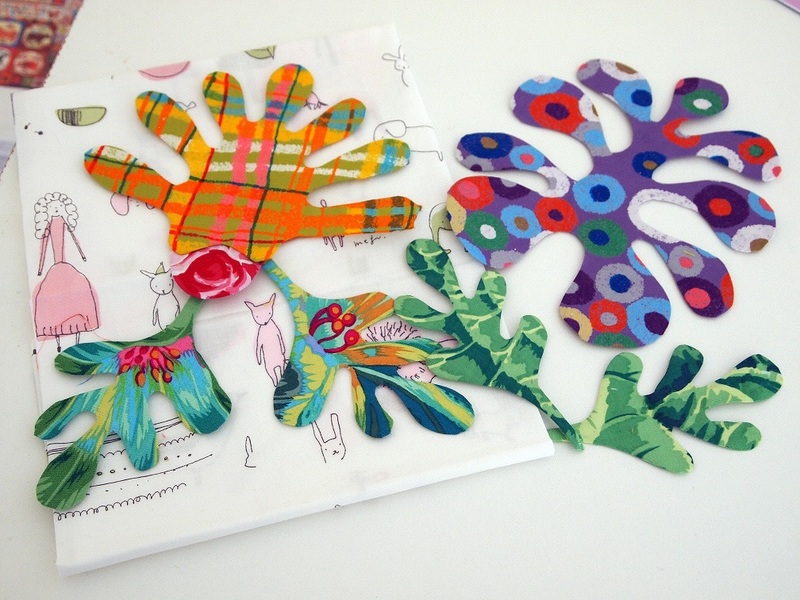 I started preparing a new applique project - obviously a Kaffe/Kim combination. 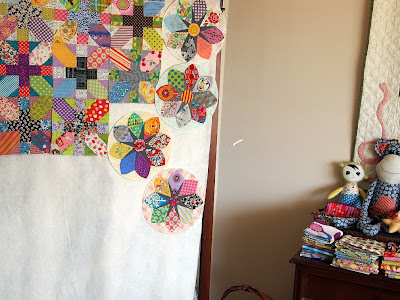 I have just received Pandemonium and I love the idea of big blocks surrounded by littlies, so I have made a start with two blocks from The Flower Garden. 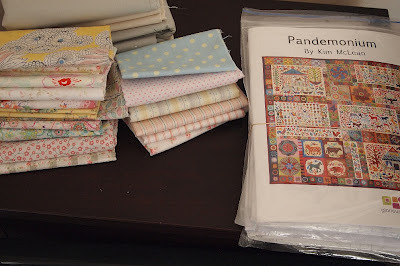 Let's see how it all evolves, see the cute little Japanese print I will use for background Block One. Oh, to be able to play all day! 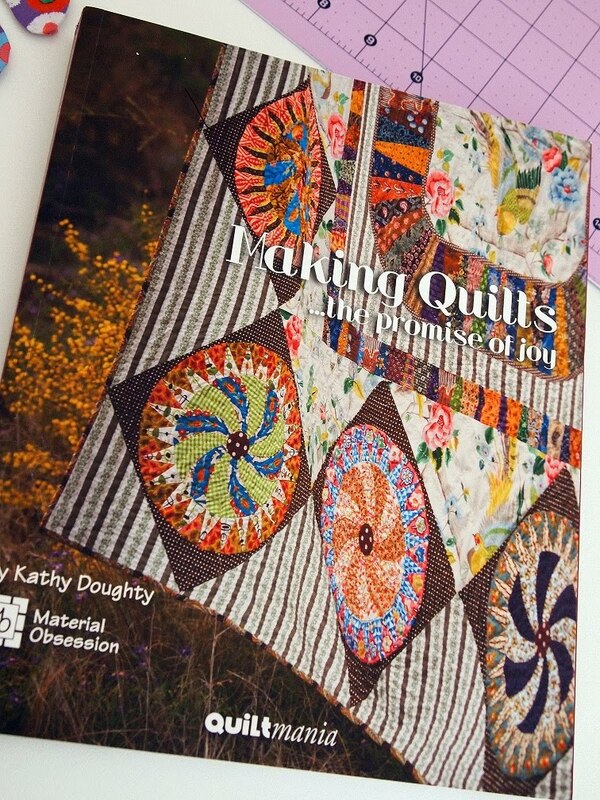 I have just received Kathy's new book and I'm delighted, lots of fresh, bright projects that appeal and a few 'whacky' ones too. Lots of inspiration there! I have taken the pics below for me - I know I showoff every now and then. It was just one such hell of a mess, I'm so pleased to have it all tidy - it cost me a day of playing though. Does everyone get into this situation every now and then? After re-writing this Post, I'm off to buy goodies for dinner, then with a bit of luck I will prepare an applique block - check back soon, I'm sure it will be all stitched down in no time, lol! Oh goodie! more inspiration in the offing. Yes, Blogger seems to be trying our patience from time to time. Sorry to hear bloggers been stuffing you around, I hope he gets his act together!!! What a wonderful PST filled with lots of happy colors and inspiration. Can't wait to see that applique come together. I'm so glad you like the SSCS bag and use it alot! You can add my name to the list of frustrated people with Blogger. I've read of one nightmare after another. Sorry to know that you were bitten too. 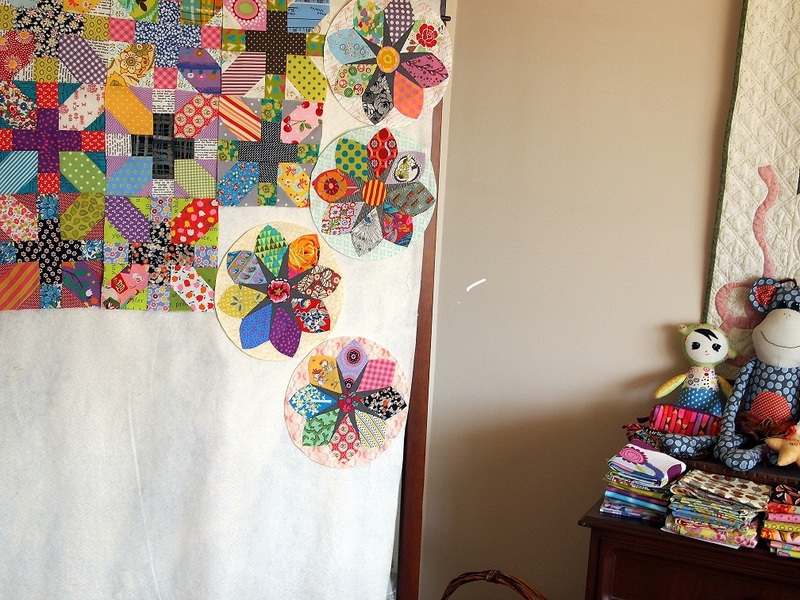 At least quilting is a bit of relaxing therapy to get us through! Beautiful Kaffes. 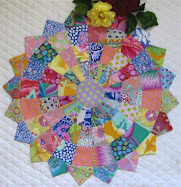 Beautiful applique Lurline....don't you just love Kathy's book? Lurline, you are always so inspiring. That applique is going to be great. I can't wait to watch Pandemonium grow! Your design wall looks so inviting with all those beautiful blocks on display. 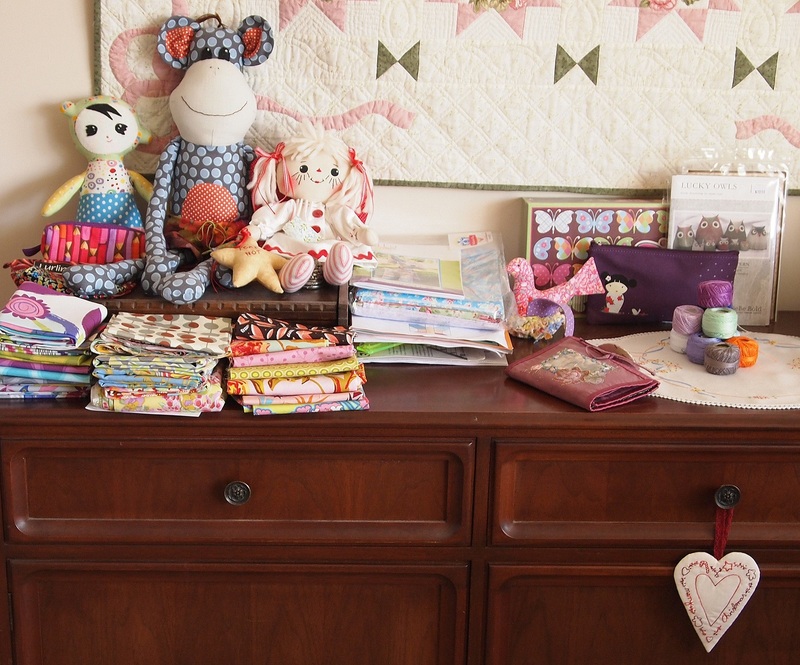 Sure looks like lots of fun in your sewing room. Love the lovely fabrics you are playing with. Your lovelies are inspiring as always, Lurline! Neat? How can a sewing room be neat? Oh, you took the time to clean it. I don't think I could with those applique blocks calling me. They are going to be GREAT! !